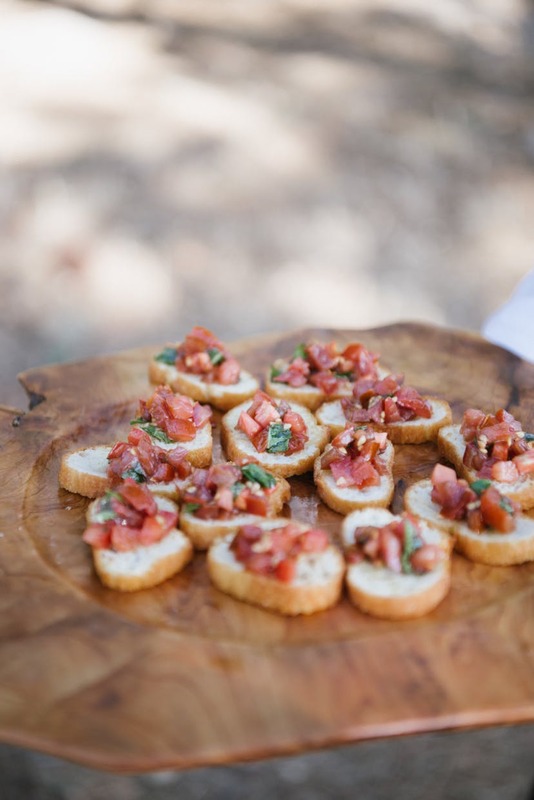 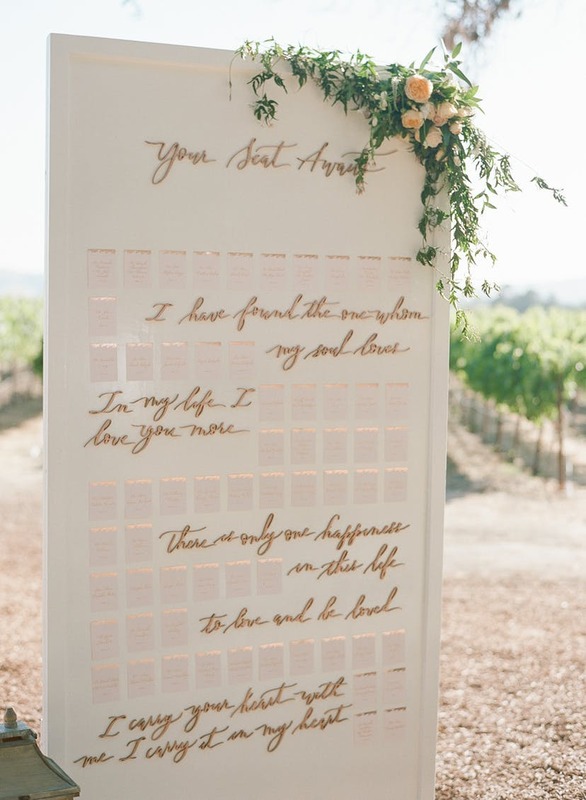 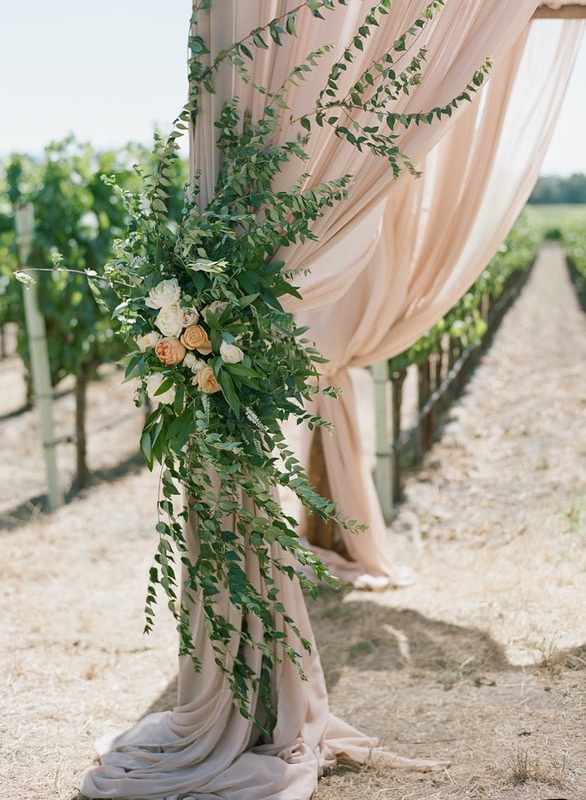 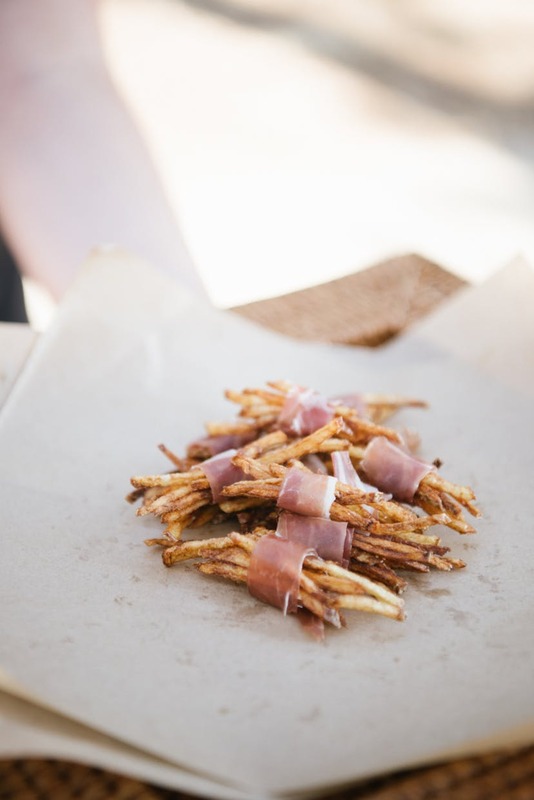 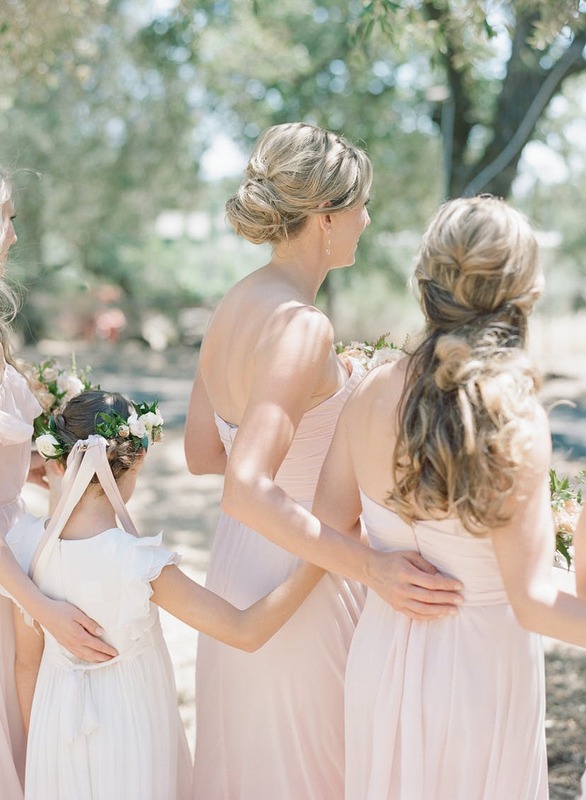 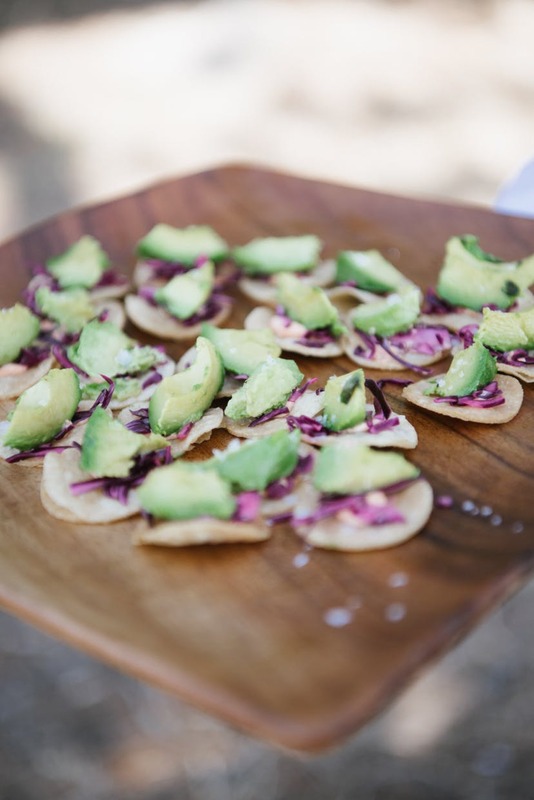 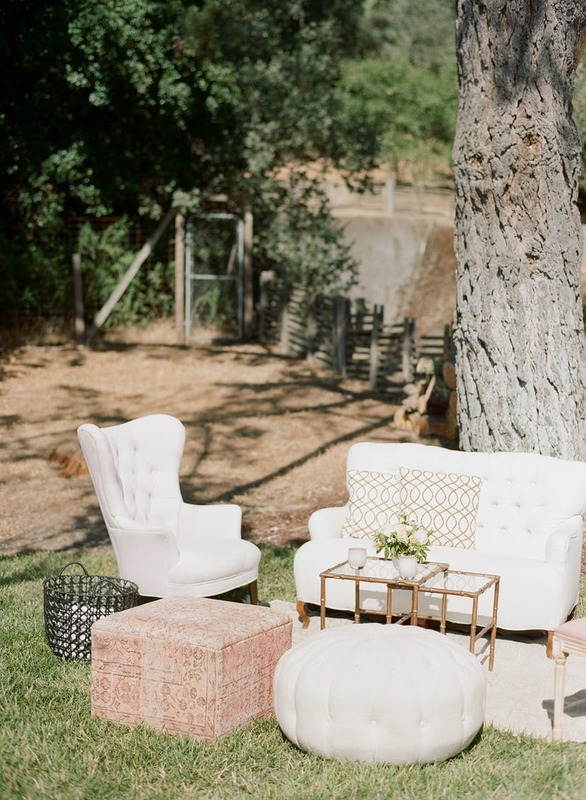 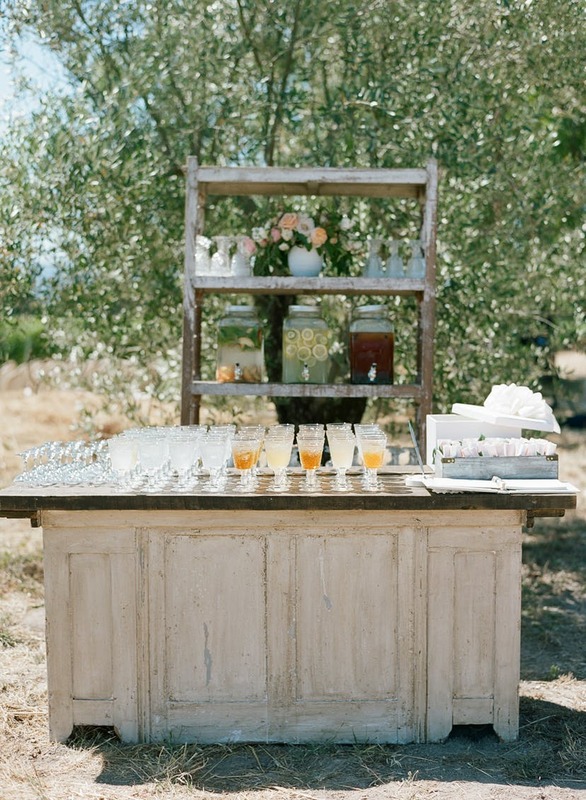 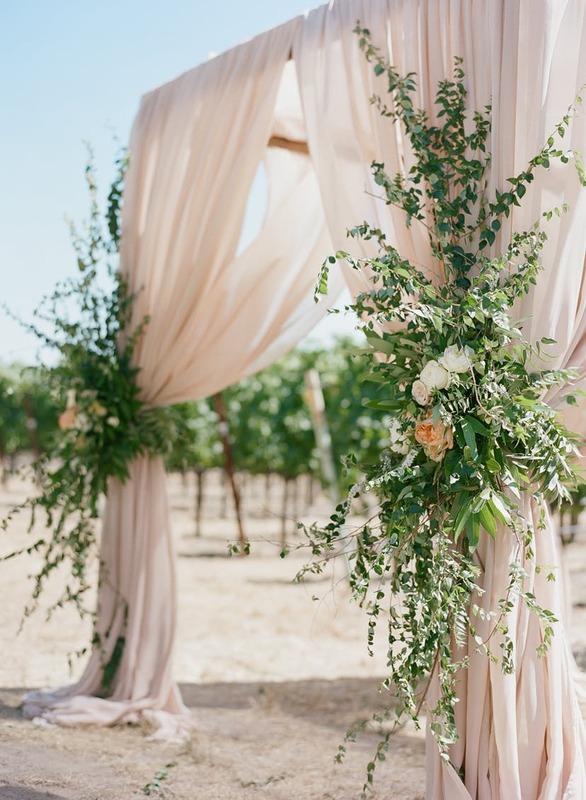 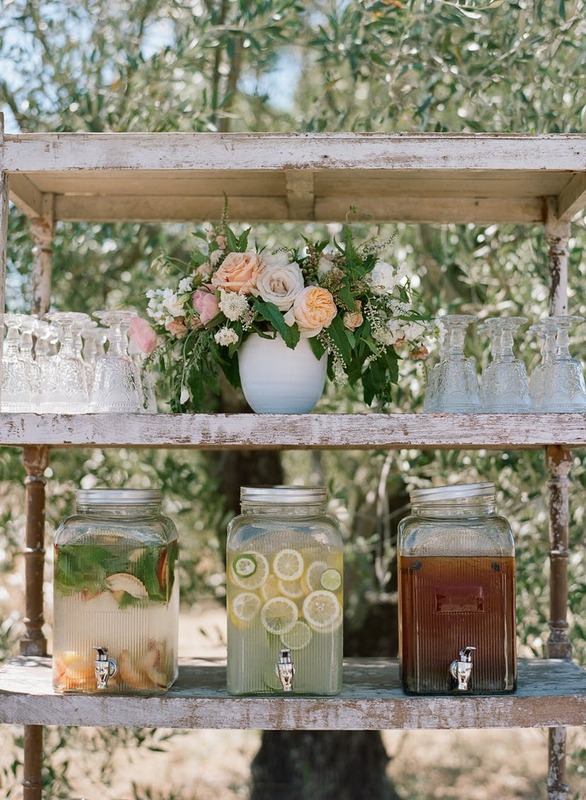 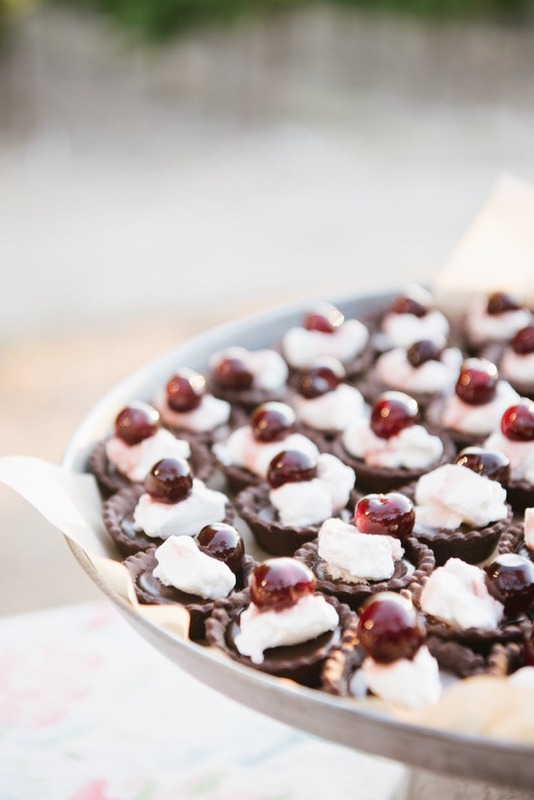 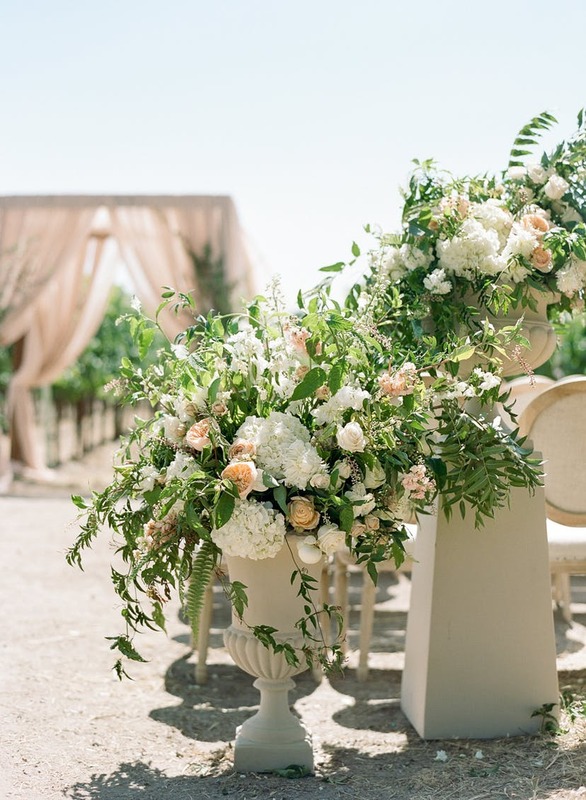 A gorgeous summer wedding at a California winery is just the inspiration we needed for today! 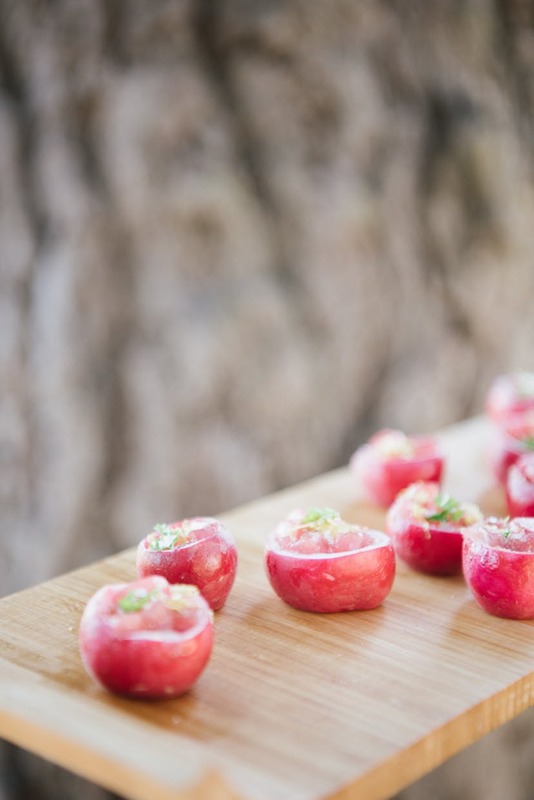 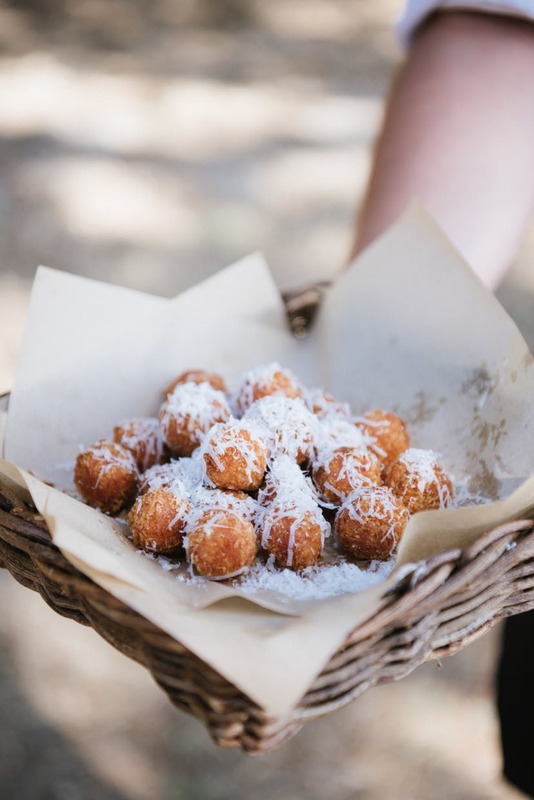 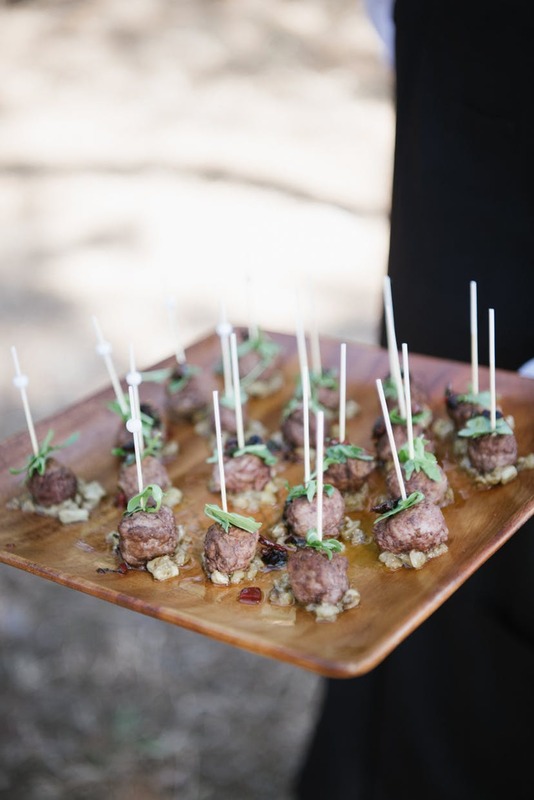 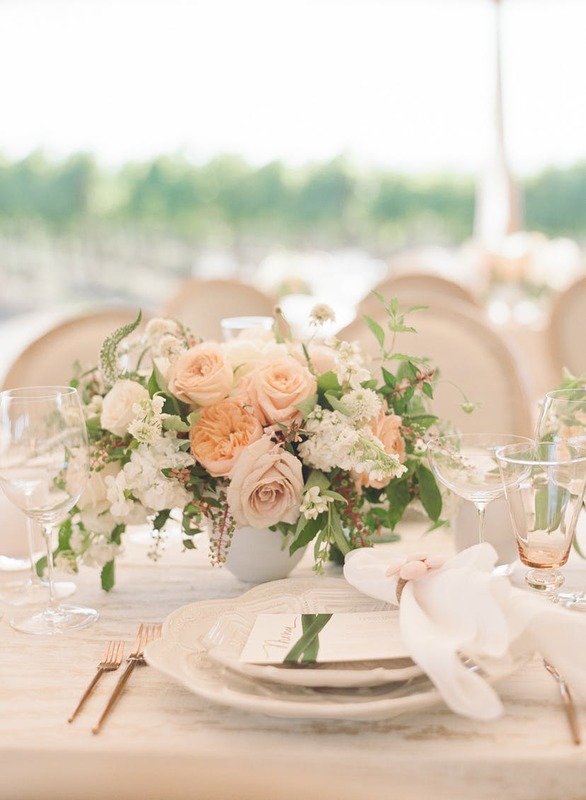 Surrounded by the gorgeous greens of Gundlach Bundschu Winery and the perfect peach shades of the divine florals by Nancy Liu Chin, this outdoor affair had plenty to celebrate. 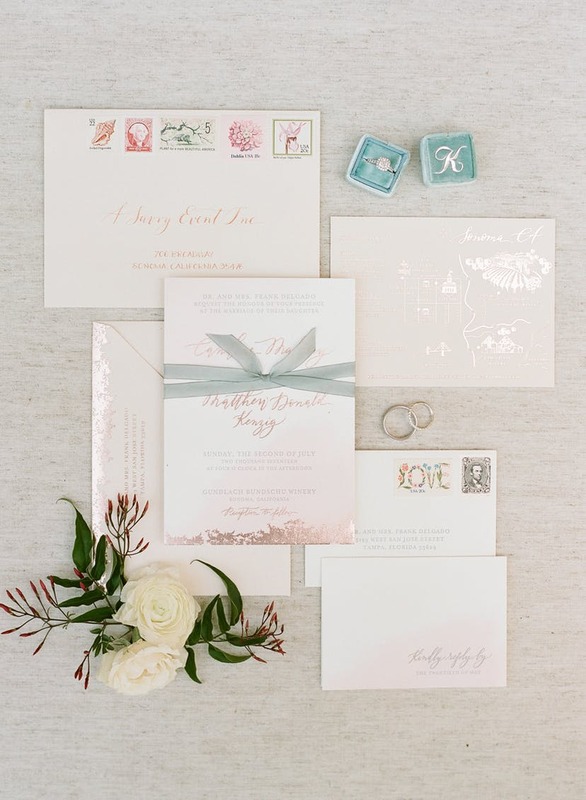 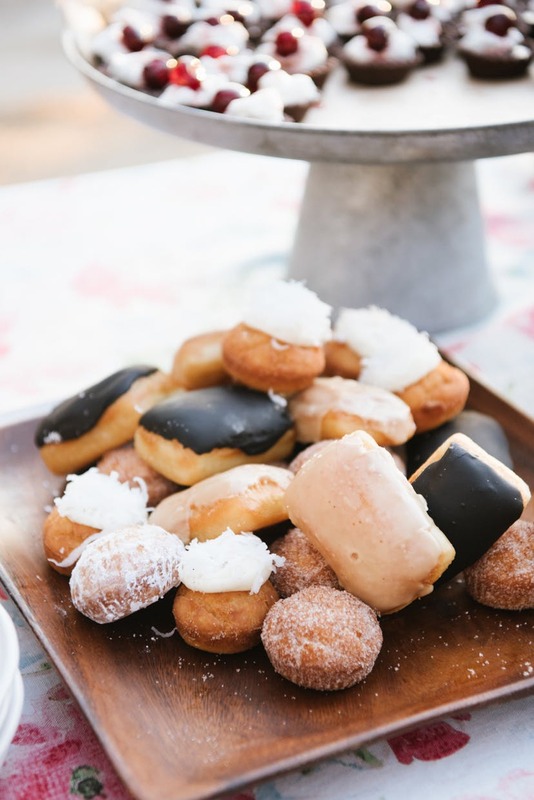 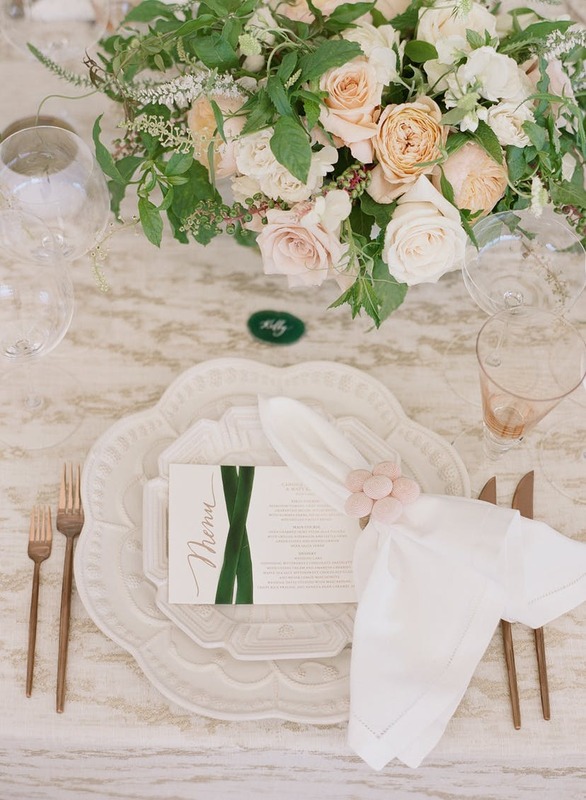 Brilliantly planned by A Savvy Event and beautifully captured by Sylvie Gil Photography, there are so many romantic details that we cant wait for you to see. 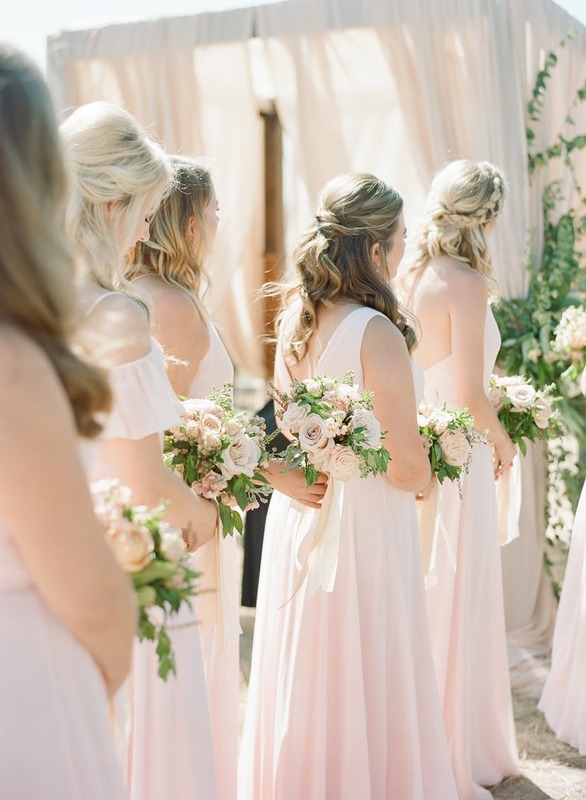 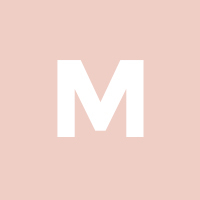 The bridesmaids were dressed in flawless blush gowns, standing next to the gorgeous bride in a flattering classic strapless wedding dress. 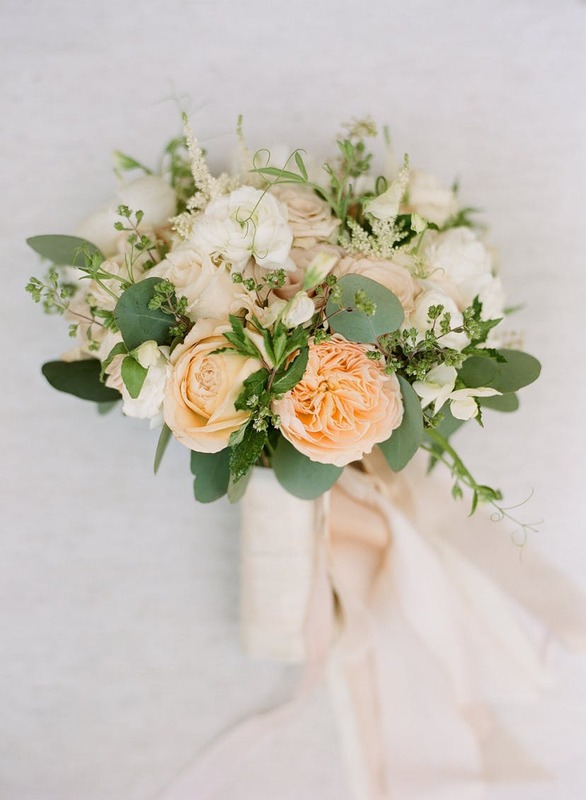 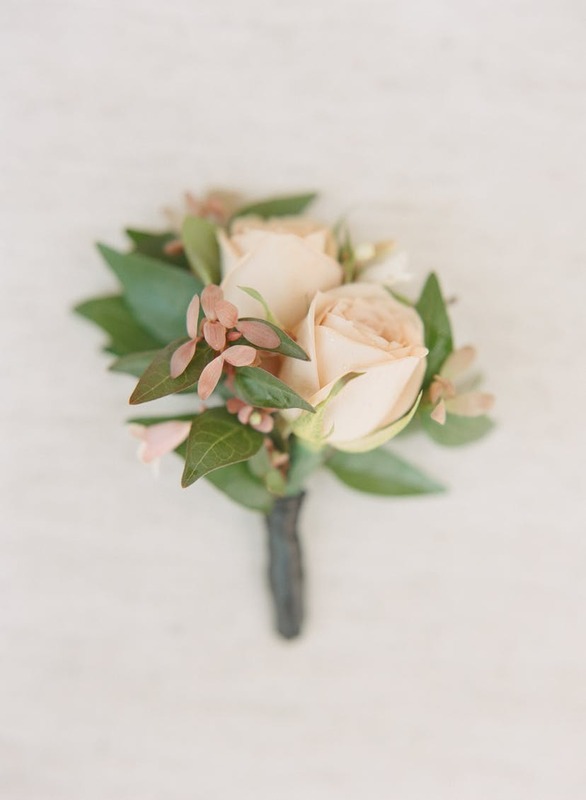 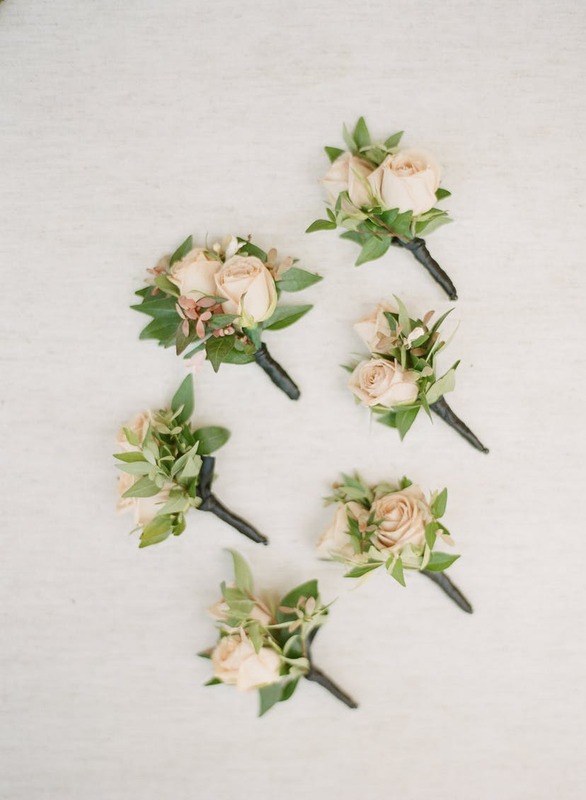 Each chic bouquet and the lush floral designs decorating the ceremony awning included pretty greens, and white and peach blush florals to keep the day bright. 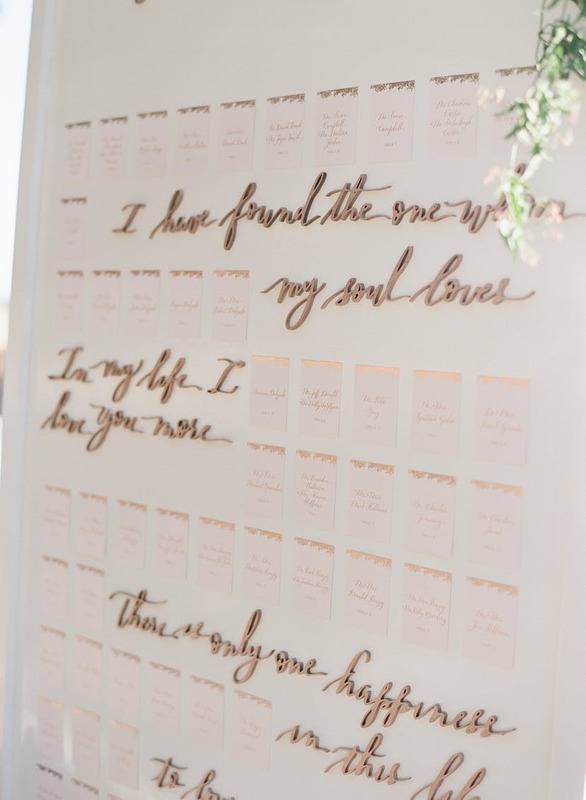 The reception wowed us with a uniquely stunning seating chart sign with pretty calligraphy, and an adorable rustic bar and drink station in addition to the eye-catching passed hors d’oeuvres. 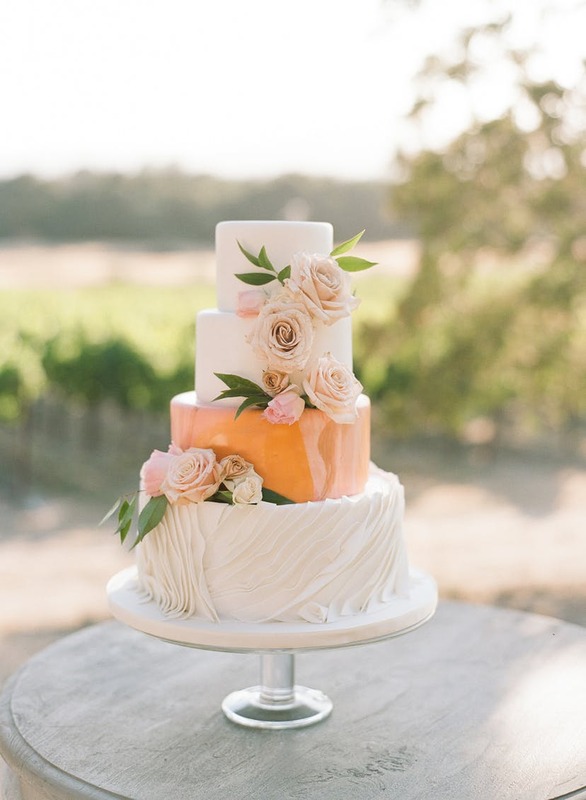 The night finished an amazing four tiered summery flower decorated white cake by The Whole Cake, and more tasty treats. 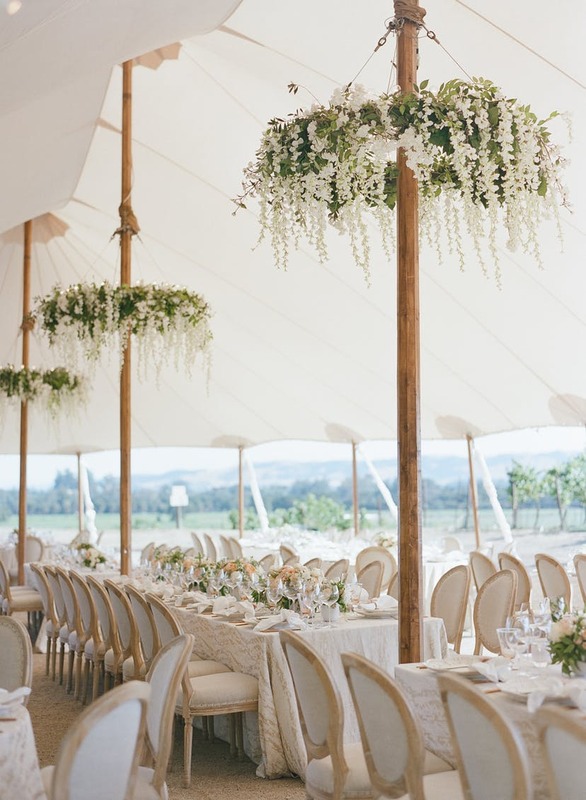 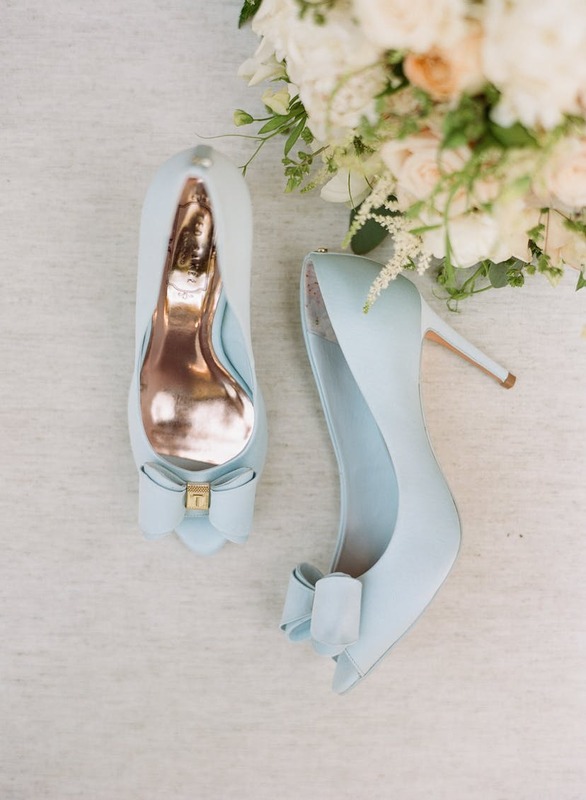 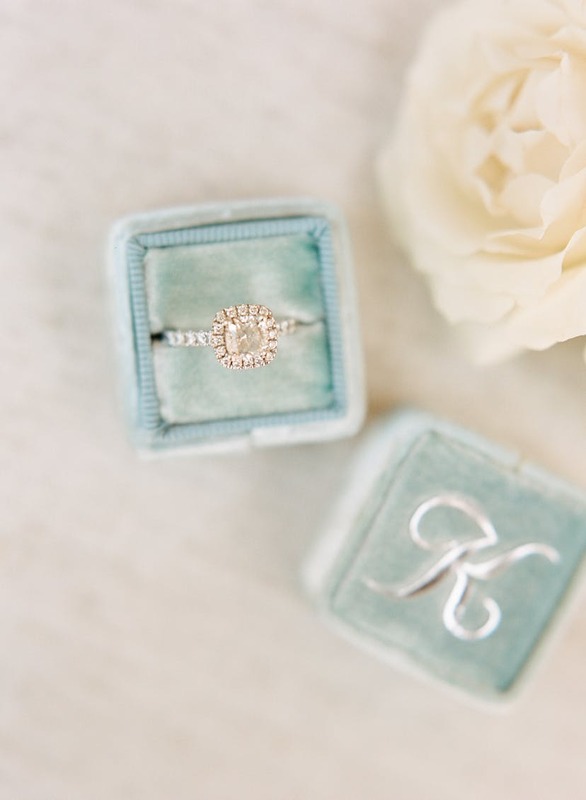 We wish we were at this elegant summer wedding!